The Hyrule seen in The Legend of Zelda: Breath of the Wild is big. Really big. Fast-travel is a boon when you need to get around in a jiffy, but for those times when you're exploring uncharted portions of the map where no Shrines exist, you really need to get yourself a decent mount. Horses can be found in various locations in the game, and some are faster and more obedient than others. If you want to find one of the best rides in the game then investing in amiibo is a good option, but there's a beast hidden away in Hyrule that even outclasses the mighty Epona. We're talking about the legendary Lord of the Mountain, a horse-like beast which inhabits a pool on Mount Satori (does that name sound familiar?). If you've seen the sublime Hayao Miyazaki anime Princess Mononoke then the inspiration behind this strange-looking creature should be obvious. 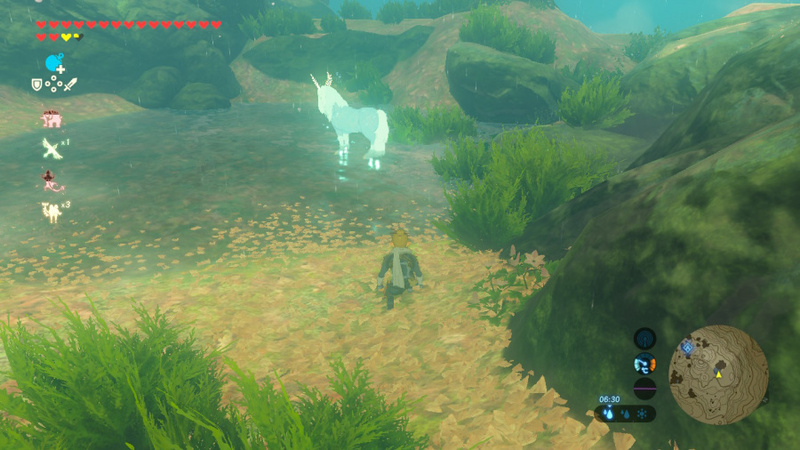 Surrounded by coin-giving Blupees, The Lord of the Mountain is majestic and bewitching - so it's no wonder that any self-respecting Zelda fan's first thought upon seeing it should be "Can I ride that thing?" The good news is that you can indeed hop on board The Lord of the Mountain, but the bad news is that it's one heck of a ride. Saddle up, because we're going to explain how to tame this creature. 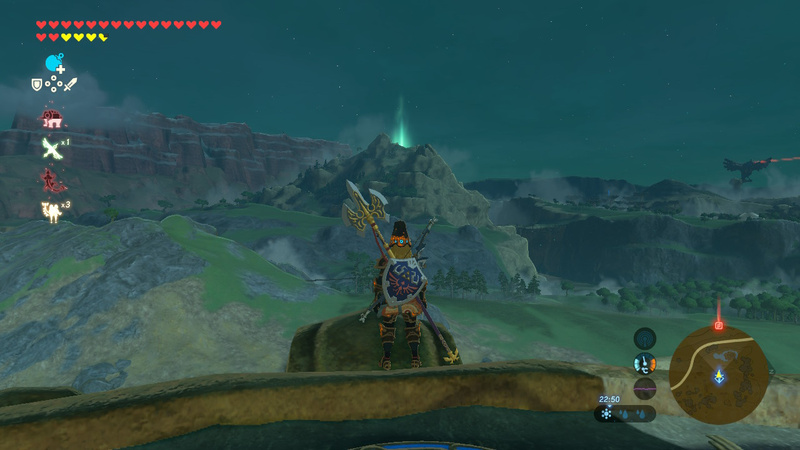 The Lord of the Mountain is found on Mount Satori, which lies just west of Hyrule Field. The Mogg Latan Shrine is near the top, and right next to the pool in which The Lord of the Mountain appears. The catch here is that he doesn't appear there all the time; he's only present when you can see a glow coming from the top of Mount Satori. This glow is normally witnessed at night but there have been reports of players stumbling upon The Lord of the Mountain during daylight hours - we've seen the glow in the wee hours of the morning. The glow doesn't appear every single day, either - in fact, we went through several day/night cycles without seeing it. You simply have to bide your time and check the horizon whenever possible to see if the glow is there; when you spot it, fast-travel to the Mogg Latan Shrine. First things first, make sure you equip the Stealth armour set as you'll need to be as quiet as possible when approaching this beast. It also helps if you can consume a meal which increases your stealth. Approach the pool of water marked on the map and you'll see loads of cavorting Blupees, with The Lord of the Mountain in the middle of the pool. Make sure you're crouching and walk slowly behind the beast, making sure not to get into its line of sight. We've heard several reports of people manually saving their games at this point so they can attempt the catch again if things go wrong, but for us that didn't work - re-loading the save we discovered the Lord of the Mountain had vanished, so you really have to do this in one go. Once you're on its back, it will take around two full stamina wheels to soothe The Lord of the Mountain and bring it under your control. Use your stamina-restoring items in good time, if you need them. If you get thrown off or the Lord of the Mountain escapes, you'll have to come back another time and try again. 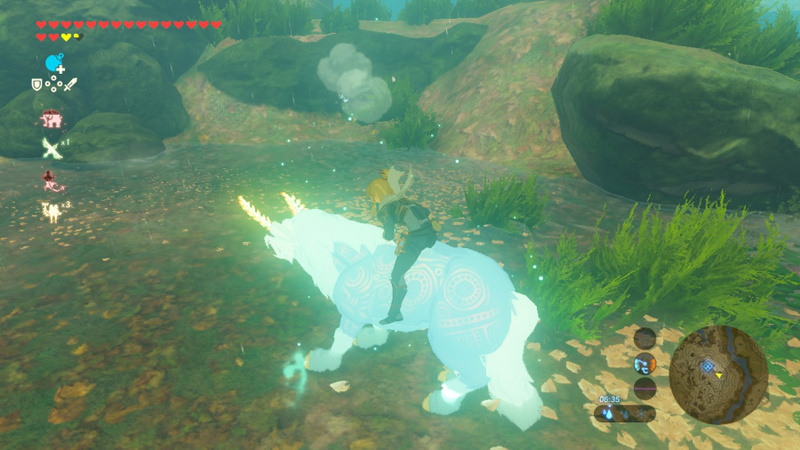 The Lord of the Mountain is faster and has more stamina than any other mount in the game, but there's a catch - you can't register him at a stable so once you lose him, you'll have to go through the process all over again. I have Epona and the White Royal horse from the side quest. Plus my first basic but trusty steed named Colin. I'll be honest, I don't ride horses much. I find them annoying to control and I'm constantly unmounting from them to explore, fight and pick up items, which seems impossible from horseback. A shame really as I do like the whole horse system, I just don't like actually riding them! I definitely think that this is meant to be a reference to Iwata. The fact that it's named Satori and how it watches and protects the animals of the mountain kinda reflect how the Zelda team thought he was still watching over them. I miss you Iwata and your legacy shall never be forgotten! I've got five horses: My first one, Bimi, my second one Ricky, named in remembrance of my recently deceased pet bird, my third one is Sanidan, Zelda's old horse I got as part of a sidequest, Big Doof, the large horse you have to get for another sidequest and Epona from my SSB Link amiibo. Overall, I'm not a huge fan of riding horses. Yeah, it can be quite useful early in the game if you haven't unlocked as many shrines as I have (once I entered a region, I'd do all the shrines I could do before advancing) but once you have a decent amount of shrines to transport to, they're pretty useless imo. You can have one or the other but both is impossible. Hmm... I think I accidentally killed it upon first appearance, do they come back or did I just miss my opportunity? WOW.... just wow. 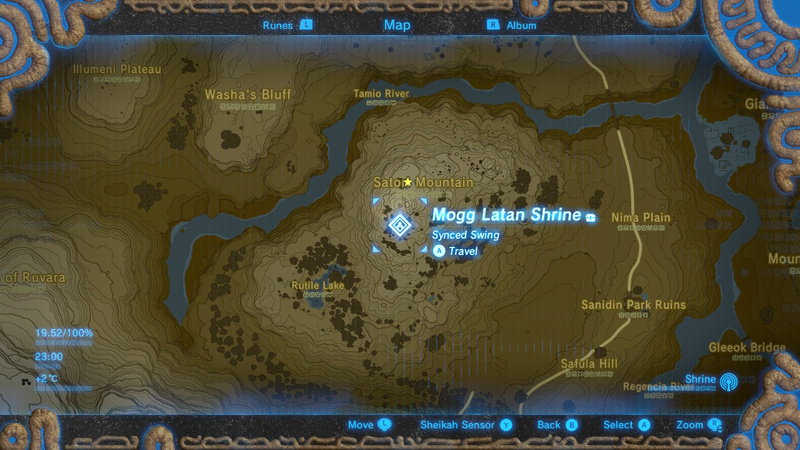 as im not using any guides im finding alot out on my own and i stumbled across mount satori 2 days ago and without looking at the map so i wasnt sure of its name. i was amazed by the beauty of this place... so much so that i set up fire and took a few screenshots while i sat in the trees for a good 10 minutes. i marked that spot on my map as its the most beautiful spot ive seen in the game so far. i then left that spot and it turned to night as i looked back i saw that strange green light above where i once was so i tried to go back but couldnt climb as it was raining so i left it knowing that i would be back. its great to see what will be waiting there when i return. and just now realising that its name is satori mountain makes me wonder about satoru iwata and maybe thats why its such a tranquil place. PS its possible to mount the Lynel too but i ran out of stamina trying this. @Eric258 While I of course never wanted Iwata to die, I'll be honest, and say I wanted him to leave as President because he started this toxic era of Nintendo we're in. Look at the timeline, he took over just after the Gamecube launch so it was already too late for him to make a severely underpowered system and alienate 3rd parties. As a testament to that Capcom made RE4 and it was a timed exclusive, it was an amazing 3rd party title that drove sales, the Gamecube was a great system to own for both 1st and 3rd party games and it's power wasn't an issue so it got big multi platform support. Tony Hawks and sports games (which are a big deal, ask the Dreamcast about what happens to consoles without EA sports titles) in general, Lord Of The Rings etc... Big names from big companies were all to be found on Gamecube. Then came Iwata's first console, the Wii. It sold a ton but with odd controls and less power than a microwave, 3rd party support went from amazing original titles (RE4 was a full fledged reboot and exclusive remember) to watered down ports years later that sucked much like Capcom's only big name on the system, Dead Rising. Or RE4 that was redone with pointer controls and it didn't really look that much different. Then the WiiU continued down this road and now the Switch has too. Everyone flipped out over Skyrim coming to Switch, but now we're not even sure if it's a port of the much upgraded rerelease or the 6 year old version that had horrific issues on consoles like the PS3 and it was the powerhouse of its gen. So while I miss him as a person (afterall his presence on Directs was unique and special) I don't miss him as the driving force behind Nintendo. I jumped on its back and I didn't use the stealth gear or eat any stealthy food either, you don't need it if you go slowly. My daughter was so excited, "a unicorn daddy, a UNICORN!!!!" Just got myself another horse. It looked cool (black body, light blue mane, blue eyes) so I registered it. Apparently, though, you can only register up to five horses. Oh well, goodbye, Big Doof, I hated you anyways. no thats your stamina. you need more once that runs out you get bucked off. Nah, more stamina, need more stamina. I got kicked off the first time but went back and did it again but drank a stamina elixir, wasn't getting rid of me that quick. Eh figure this long ago. Since you can't register him there's no point since to me Epona and Zeldas white horse are better. This guide could be misleading seeing as the fact you don't keep it isn't mentioned until the very end, as that fact makes it somewhat useless for regular use, so it can hardly be considered the best. Wii is my most favorite console from Nintendo, compared with Wii U and Gamecube. Wii mote itself is not weird looking, but unique for me. I like the Remote control design, looks easy to use and stylish. Also, Wii came with White color as Default color that was my favorite color for video game consoles. About Wii games, I don't think Wii games are bad just because not powerful as PS3. I got 25 titles in my shopping list, 15 Wii games already purchased. @gamermole You can't tame the Lynel. The 'Mount' option is only there as another way to attack it, as you can do when mounted. Your weapons don't lose durability through this method as well. 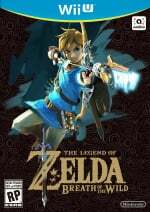 "there's a beast hidden away in Hyrule that even outclasses the mighty Epona." Omugh how could u spoil that there are MOUNTS in this game!!!1!11! Some of us don't want to be spoiled, Geez. I hope all the people calling "spoilers" in the last few articles feel suitably appeased. Still, the fact it's undockable, as well as a pain to mount, and a pain to get off the mountain limit its practicality. Is the white horse the best boardable non-amiibo steed? @VENOMVSCARNAGE While I do agree he had made some questionable decisions, I'm glad he made the Nintendo I know today. He wasn't always in the right but he did admit his mistakes and even took a paycut when Nintendo weren't doing so well. He really changed the industry with his blue ocean strategy and he's the reason I ever saw my family and friends ever touch a video game. He pursued his passion to make everyone have fun with games and he was a fearless leader whom was willing to take risks. And whilst the Wii did have a lot of shovelware, it introduced a revolutionary new control scheme (motion controls) and had games such as Super Mario Galaxy, Just Dance, Wii Sports, Mario Kart that had left their mark on me. Heck, me and my friends still play Mario Kart Wii and we even put on some Just Dance when we're at a party. And let's not forget he did start the cogs to create the more modern Nintendo we see today. With his push for Nintendo to begin mobile games as well as Nintendo branching out with their IP (e.g. theme park). I probably had a very different experience than you as I grew up with the Wii and the DS but those Days were probably my favourite moments for being a Gamer and I'm so greatful for Iwata for creating these special moments. Ah! I was excited until I read that you can't register it. It's a cool addition to the game, but seems pointless overall. It's like catching a Legendary Pokémon and not being able to use it again after your first battle with it, or something like that. I wish BotW had some post-endgame stuff to do like Fable 2. For the first time defeating Ganon doesn't really feel like the end of the story, especially after the ending. 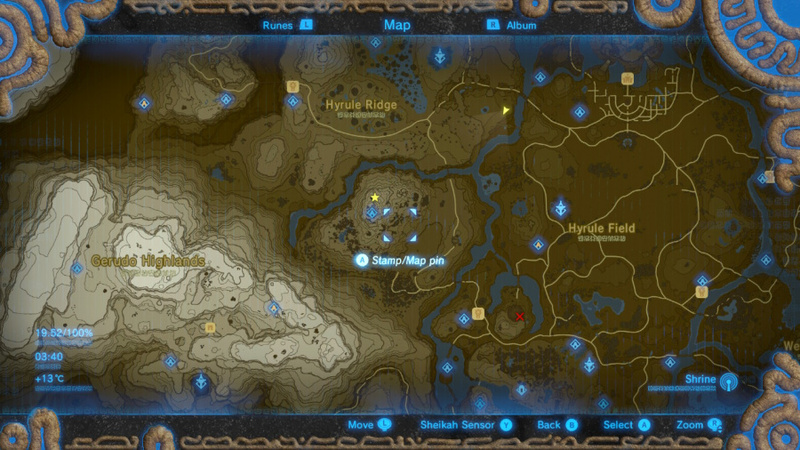 You could perhaps work towards rebuilding Castle Town with Zelda dishing out quests to complete, or some additional areas on the map could open up. Since you can't register it at a stable, there's really no point in wasting stamina meals to try and get this horse. Maybe just one time to get a cool image to post to social media but that's about the only reason. Besides I have Epona, the white Royal Horse (whom I named Shadowfax), and a really cool black and silver high-stat horse I found in the wild (named him Polaris). And I'll be trying to get that GIANT horse located somewhere too. I think I'm good. @Captain_Gonru See i didnt even know about that table thing. this game is definately going to need a second playthrough even after a 100% playthrough. 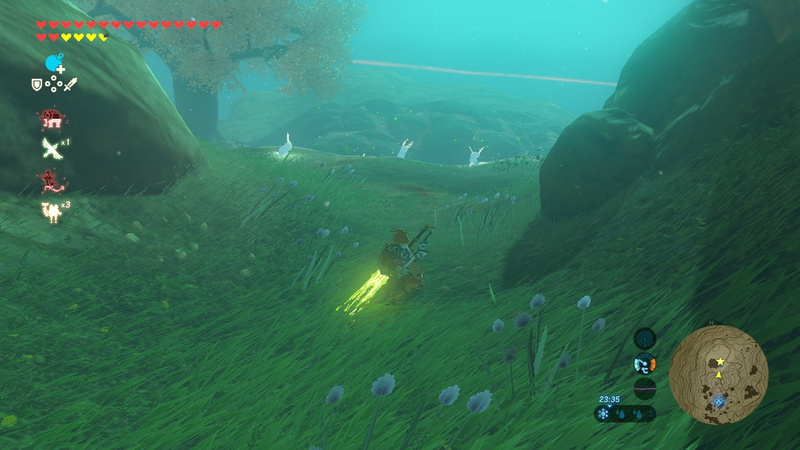 I usually teleport to the shrine, quickly climb to the peak then just glide down onto his back. You don't have to be near as stealthy that way. This is the thing that urks me about the horseback riding, why even give us the option to mount a Moose, a Stalhorse, or a Unicorn Thing if we can't register and keep it? I already read about this a few weeks ago, but what's the point if you can't register it? Just a waste of time, I'll stick with my Royal Horse (and the others I got). I rarely ride horses in this game anyway, I mostly travel on foot (or with the Paraglider) or I just use fast travel. Thanks NL, THIS is how you post a guide without spoilers. Thank you, Nintendolife, for not putting spoilers in the pic or headline. I found a giant black horse with a red mane and named it Venger. I didn't even know there were horses of different size, but this one dwarfs the rest of them! Resident Evil 4 did not sell many systems. You seem to have forgotten that it wasn't supposed to be a timed exclusive. CapCom made a deal with Ninty to make 6 games fornthe Cube that wouldn't be available anywhere else, ever. Well, that failed. Viewtiful Joe and Resident Evil became multi-platform because ALL THE PS2 female dogged and moaned about them being on a nintendo system. They complained so much that capcom didn't even fulfill the 6 game contract on the Cube. The PS3 was not the most powerful system that Gen, it was the 360. That's why the games all ran better on that system vs the PS3. Look at GTA5, Skyrim and a few others, way less issues on the 360 than the ps3. I've been to Mt Satori a few times. I've even seen the glow. Every time I get there, the glow has disappeared. I never knew there was anything to the glow. "Will it give me Rupees if I shoot it?" @Damo was that quote in reference to the original animated Transformers the movie?! if it was that made my day AWESOME!!! LOL!!! @Eric258 Iwata had some good ideas but they were vastly outweighed by his bad ones. He regressed Nintendo, not pushed them forward. I've been with Nintendo since the NES days. They've always been about advancement. Until the Wii. The Wii could have had the morion controls as well as being a powerful console. But he decided to go cheap. And again, they pushed revolutionary tech but with an outdated system with the WiiU. Don't get me wrong, I love my WiiU but it could have been so much more. The Wii should NEVER have been a 7 year system! Hell, 4 years would have been good! Nintendo is now in catch-up mode. Here's hoping that the Switch can put them back on track. The follow-up to the switch needs to take the concept and expand on it. Backwards compatible, full 4k though actually at the time when the Switch follow up comes along, we'll be at 8k standard TV, so it needs to be an 8k ssytem. It needs a bigger, stronger screen. It needs both mobile and stationary development houses working on it. Nintendo can not have another split house. No more portable line and separate home line. Everyone needs to develop for the system. @Cartune I killed it the first time I saw it too. Thinking it was just a big thing that would give me moneys. @Gold_Ranger "The PS3 was not the most powerful system that Gen, it was the 360. That's why the games all ran better on that system vs the PS3." This really isn't true. They were pretty neck and neck, with differing custom hardware that gave each an edge in different areas.The specs are available on countless sites to verify. The PS3 was notoriously harder to program for, though. 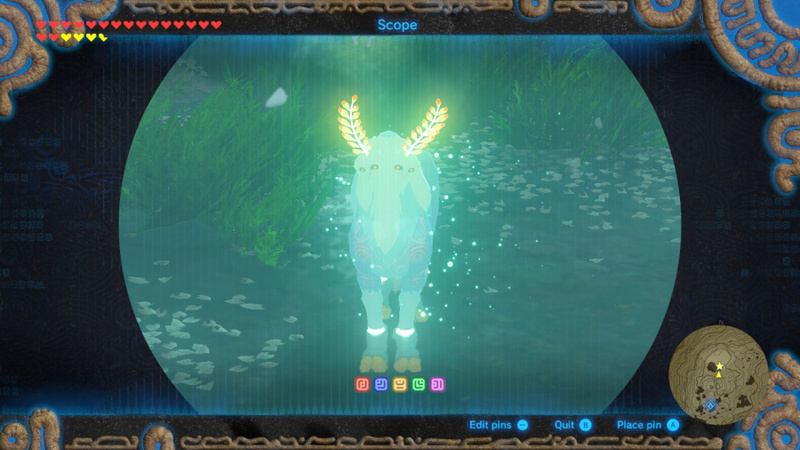 I'd love Nintendo to make minor changes to BOTW through patches, like being able to register this horse, pick up items from a horse, streamline cooking, and have a recipe book. Doesn't seem worth it when you have Ganon's horse, Epona, and the Royal Stallion. I did catch him and ride him for a while. I'm sad you can't really keep him. It would have been neat if there was a side-quest or something that rewarded you with being able to summon him from a stable, even if he wasn't technically a 'registered' mount. I had a really strange experience with this creature. I had heard about it on the internet, but my first hike up the mountain happened to be one of the times he appeared. I mounted him fairly easily and started making my way down the mountain with him. A thunderstorm had rolled in, and as I reached the base of the mountain, as the Lord of the Mountain carried me at a full sprint, I was struck by lightning and thrown from him. Naturally, he vanished, and I simply tried to understand what had happened. I was not wearing any metal and no sparks had appeared before I was struck. The lightning barely damaged me. I couldn't help but wonder if nature itself had prevented me from taking that creature from its sacred mountain. This game is just so epic with all the little touches like this! It brings me back to the good old NES and SNES days. Just talking with friends about the game and asking stuff like "Hey did you ever catch and ride the Lord of the Mountain?" Or "Hey did you know you can use metal weapons as conduits for electricity in shrine puzzles?" I mean everyone's experiences in the game are slightly different because of the go anywhere, do anything in any order nature of the game. 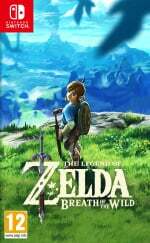 Just like the very first Zelda this is the kind of game that people will still be playing a decade from now as I think this may go down as the most legendary edition of The Legend of Zelda ever! 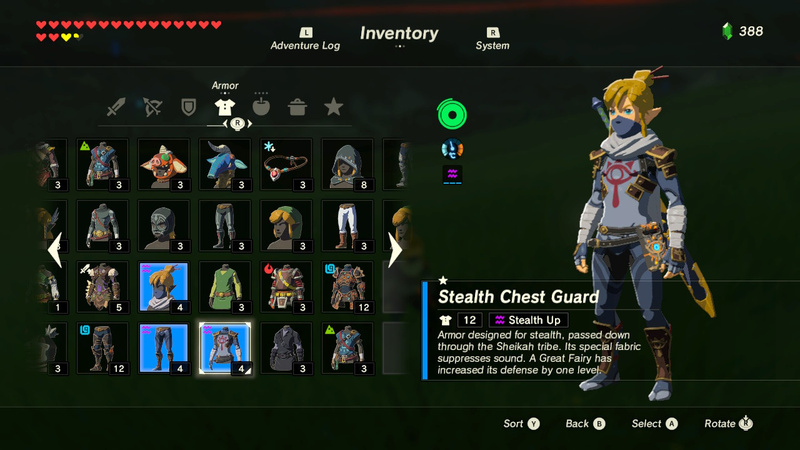 Do stealth potions even do anything if you wear the full ninja set? @WanderingPB Look Hotrod, there's a hole in the shuttle! You can't register him? What a shame. I caught him last week, but was unable to keep him. Knowing I couldn't register the dude, I took him home to the house I bought and tried to leave him in the stable. He vanished seconds later. I also caught a super huge wild horse. Dark gray with a red mane. He was a toughy to catch, even with a paraglider, but when I was on him, the Lynel's wouldn't touch me. So that was cool. But you can't really use spurs to make him move. Because wild. If you can't register it than it is pretty much pointless. THE BEST horses in the game are found in toabab grasslands (where you get the giant horse). I have a 2/5/3 that I caught there, and a 4/4/5 horse that looks just like the horse in all the artwork. Pretty badass. @King_Johobo Do you have enough stamina? The full coloured horses take a lot of stamina to soothe so maybe that's why. Try making some stamina increasing foods. Hope that helps! It didn't occur to me that stamina boosts would work with taming horses. You learn something new every day in BotW. This mount is the best mount. The best. Absolutely. There are no other mounts like it. You couldn't find a better mount, let me tell you folks. We're gonna get this mount, people. We're gonna get it because it's the best, and we're gonna make Hyrule great again! @Eric258 I never actually looked at my stamina when mounting them. I'll try that. Thanks for the tip Mudkip! I mean Eric! I mounted it without any kind of stealth (no potions, no wearing). Why is everyone saying stealth is so important?